Two days after landing in Mendoza and we are already at Aconcagua base camp, known as Plaza de Mulas. I’m writing this wrapped up in my summit suit already, warming up after an intense 7.5hr trek through sun, snow and windy conditions. If you’re familiar with the mountain (I’m going to guess that most of my readers aren’t! ), this is a very quick pace to acclimatise – from 700m to 4300m in two days. But the team is feeling strong and we have the next few days to rest and get our bodies used to the thin air. Only another 2662m to go! in our waterproofs to begin the 3-4 hour trek to Confluencia. 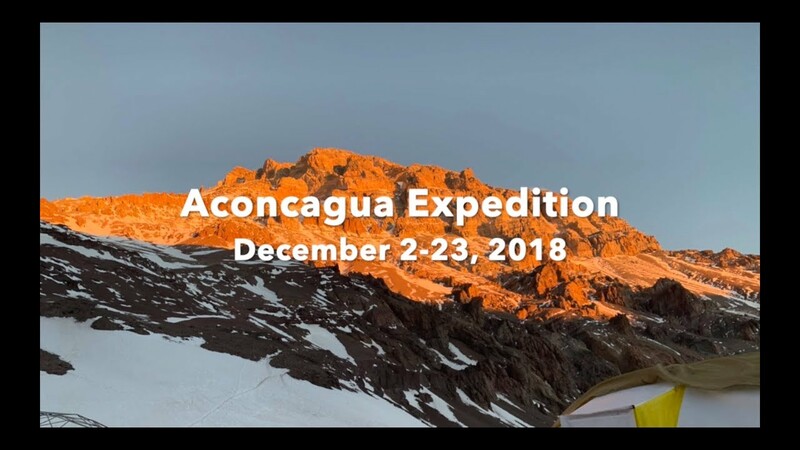 Confluencia is the smaller of the two base camps, and we were hosted by Aconcagua Mountain Guides. We were plied with hot tea and water flavoured with Tang – it’s important at altitude to drink as much as possible. The downside of course is the need to pee almost constantly! Luckily at base camp there are proper toilets so it’s not too bad. This day is considered the second hardest day of the entire trek, so we were getting off to a bold start! It was bright and sunny but we couldn’t set off until 10am in order to finish up some admin stuff (like medical checks – I was all good!) and to wait for the mules, the lovely animals who would carry our duffel bags and sleeping bags to the next camp. Nims called it the “walk of doom” – owing to the fact that it is a long, monotonous trek through the valley, with not much variation in scenery until the very end – when it’s straight uphill for the last two hours. Fun! The first hour was hardest, as my body got used to walking such long distances again, but soon I settled into this kind of trance-like rhythm, probably somewhat caused by the altitude! We had all seasons in a day, from hot sun to very cold wind, and although I was in high spirits for the majority of the walk, the last half hour was hard. Very hard. Hands were chilly. Feet were chilly. I couldn’t figure out how to breathe into my buff without fogging up my sunglasses, so it felt like a constant battle. Once we finally arrived at Plaza de Mulas, it took copious amounts of hot tea, a few squares of cheese, and a change into my summit suit to finally feel my hands and feet again. It’s also blowing a proper snow storm out there! But it’s unreal to realise that we are here, at the base of the mountain (though we haven’t yet seen it properly!) and in a week or so we’ll be attempting the summit.